National Financial Group NFG - Why use a business finance broker? This depends on the finance product, the amount of the finance, complexity of the transaction and the information available. Timing can also be impacted by demand factors such as the time of year, or promotions. For example the end of financial year is always busy for cars, equipment and business loans, while the end of calendar year is always busy for property. We always discuss the importance of turnaround time with our customers so as to set expectations and help them chose a suitable solution. For cars and equipment, smaller amounts from $10,000 to $150,000 can often be approved with limited information in a matter of a few hours. Approval of a medium sized funding amounts from $150,000 to $1,500,000 can take from one day up to a week. Larger lending limits from $1,500,000 to $10,000,000 can take from a few days up to a couple of weeks to arrange. Unsecured Business loans, from $5,000 to $250,000 are usually approved in 24-48 business hours, approvals last for 30 days. Property transactions including residential and commercial mortgages, refinances and secured business loans can take from 1 – 4 weeks. Once approved, credit approvals last for 1-3 months at a time before needing to be refreshed. Rates depend on a number of factors such as, lending product, purpose, features, term, data available, time available, how long borrower is established, asset-backing of the borrower, credit history, credit rating/score, available lenders, loan to value ratio (LVR), gearing, new or used asset, dealership or private purchase, specialised or standard goods. We always strive to present competitive and flexible finance products to our customers, to keep them coming back to us and referring their friends and associates. We are competitive with going direct to a lender or your bank, yet with us you get more service and advice, more finance approved, more choice of financier and products, often with less security than going direct. Where do you get your money? How can you be competitive with a bank or large firm? 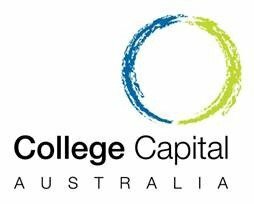 Our financier accreditations, are held directly with finance companies and banks via our affiliation with our aggregator, College Capital Australia Limited (“College”). We offer our customers access to more than 40 banks and independent financiers. We also have access to white-label finance programs, international finance companies and private financiers not otherwise available to borrowers in the market. College is an affiliation of hundreds of individual brokers, collectively we introduce around $1 Billion in business and asset finance each year, to banks and finance companies. By aggregating the funding required across the group we are able to obtain better deals from financiers than customers can by going direct. This gives us the financing power of a much larger firm. If the bank has to pay brokerage, wouldn’t it be cheaper going direct? This is a common misconception, in reality brokerage is not an additional cost borne by customers, as brokers effectively replace the need for banks and finance companies to hire an employee sales force. Banks who do have a direct channel (i.e. branches, sales people and relationship managers) have a much higher cost structure then their broker channel. If you go direct to a bank, the bank needs to make additional margin to pay the overheads. Effectively you are paying the same, but without the service level, choice of product or independent advice you get from a broker. No financials? New Business? We can Help! We help lots of newly established businesses, from 1 x day ABN’s to businesses who have been going longer but haven’t completed their first year of financials. Get in touch with us to discuss your requirements. Been declined for Finance, can you help? Shopping around for finance or being declined is not good for your credit rating, each application you make direct to a lender puts a credit enquiry on your credit file. Each enquiry can reduce your credit score, reducing your chances of approval. If you are not sure of your prospects of approval, or have been declined for finance, please get in touch with us. We will review your application, we can often see why you were declined and will be able to workshop your application with appropriate lenders prior to making a formal application. This process limits your credit enquiries and improves your chance of approval, as well as saving you a lot of time and stress. 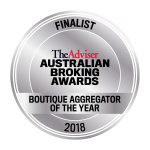 Why Choose Us as Your Finance Broker? Send us your email and we’ll keep you informed of any news we post to the site from time to time, such as any insights, rate specials & new products.